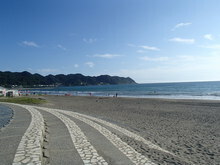 The white sand of the beach on the Iwai coast stretches out for 2km. It is a wide shallow beach with gentle waves and a great place for fishing. 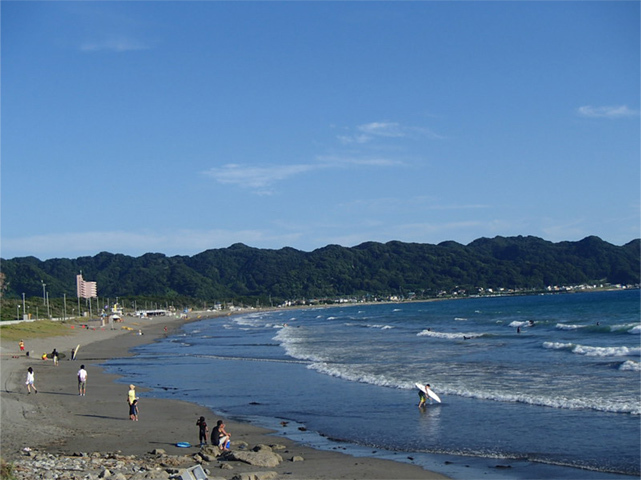 It is also called Childrens' Coast because it is safe for children to play here. In the summer people come here to swim and fish. For the Jibiki-ami fishing events many people come together and pull in long nets by hand. They then enjoy their catch at a barbeque.